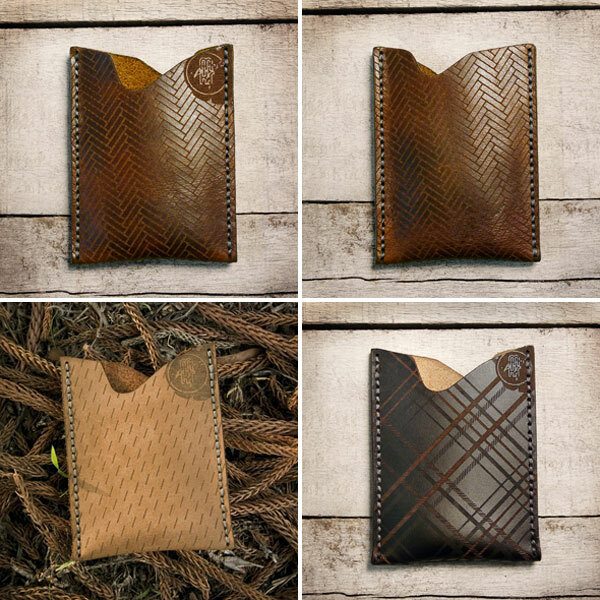 The Two Wallet - a symmetrical double pocket cardholder for cards and folded cash with a contrasting interior and exterior finish. 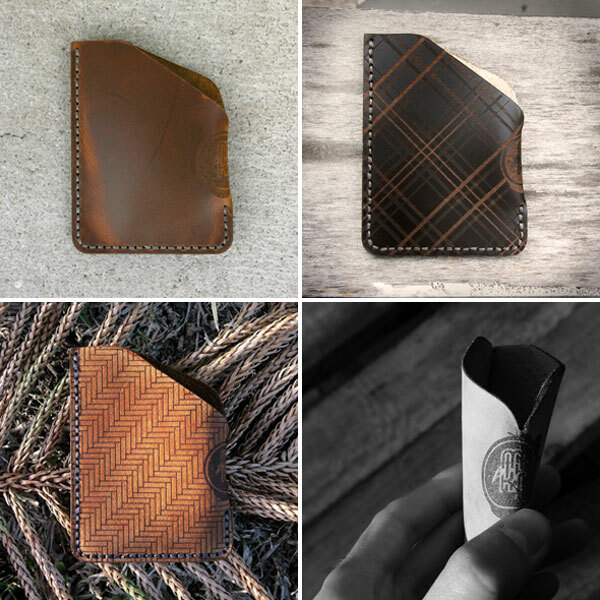 The Angle Wallet. I love the side-etched logo on the hinge of the wallet. For the Flap Wallet, the logo is hidden behind a strap, keeping the focus on the leather. The Vertical Pocket with a snap closure. What started four years ago as an experimental art project of made-to-order items has developed into a proper brand and new presence in the luxury market. 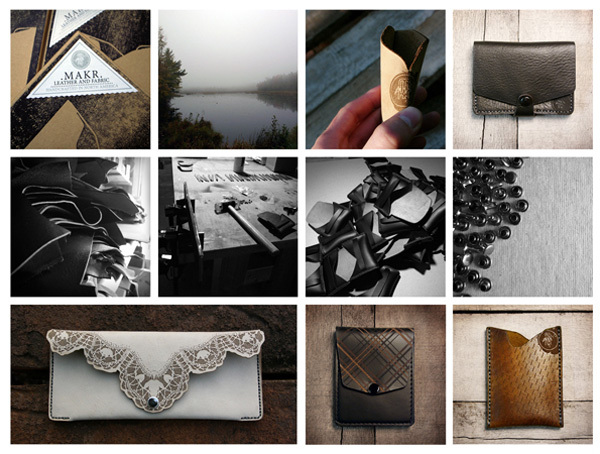 Makr Leather and Fabric is proud to announce the release of its first comprehensive collection of handcrafted products. This initial offering of carry goods includes wallets, cardholders and pouches. Expect in the coming months, a variety of bags, totes and camera cases. Makr is a small carry goods company founded and run by designer Jason Gregory. The brand’s focus is on simple, elegant items to carry your life in. Makr is an appreciation of the simple, the durable and the timelessness of thoughtful design. A vision of the useful as artful—and the opportunity to apply that principle to the everyday. The idea is to continue rethinking and creating practical objects that provide relief from the typical and disposable. All Makr products blend the tradition of handcraft with the contemporary. Leather is laser etched, yet hand sewn. And soft deerskin is paired with industrial wovens. Materials are carefully selected and every item is designed, patterned and cut in house. Pieces are produced in small quantities by an even smaller group of people, and all assembly is done by family-owned companies within the U.S. I have been looking for something new in the wallet game. I go through the so-called handmae wallets from mexico at about 1 every 18 months. They have no style, no pizzaz. Is there anywhere these are available in the Kansas City area (quit laughing)or is there a online site that distributes. I acnnot decide which I prefer.Ideally, I like the two pocket but with an angle cut? Help me Thanks. I think that the simplicity shows a good eye for editing and also lets the materials and the construction complete the look. Far from boring in my opinion. I too also love notcot.com and all of the notempire… I also like the stuff makr made, beind so in this case I have to say I liked his initial designs alot better.. these are pretty plain and boring.And specially now since everyone is using the laser etch technique. I have never been happier to see a post on Notcot. I seriously screamed out loud, luckily I’m home alone! Beautiful work by an even more beautiful person! This line has been a long time coming and it is great to see it all realized and up on display on my favorite site.